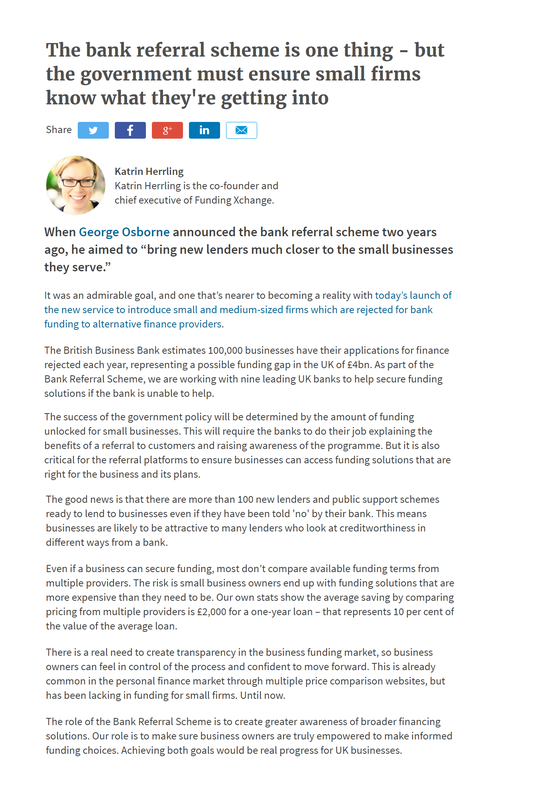 On the day the Bank Referral Scheme launched our Co-Founder and CEO Katrin wrote an opinion piece for the London financial publication City AM. "Even if a business can secure funding, most don’t compare available funding terms from multiple providers. The risk is small business owners end up with funding solutions that are more expensive than they need to be. Our own stats show the average saving by comparing pricing from multiple providers is £2,000 for a one-year loan – that represents 10 per cent of the value of the average loan."